We are super excited to announce that we have been nominated at the 2018 British Craft Awards! We’re so happy to be up for two awards this year, both for Best Blog and Best Papercraft Brand. If we’ve inspired you, transformed your crafting, or you just really love Trimcraft products, then please take two minutes to cast your vote for us. 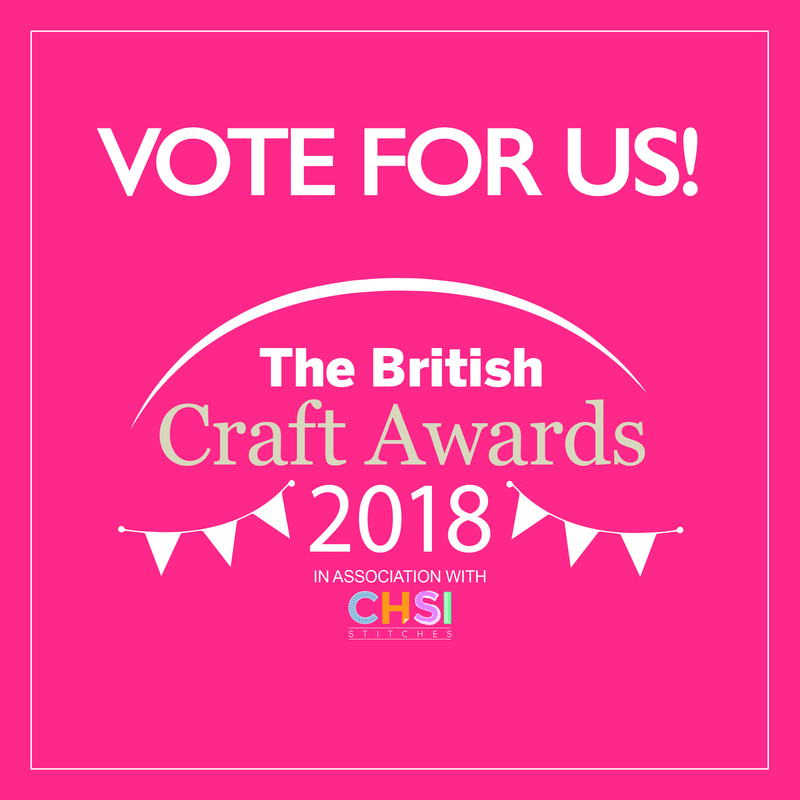 You can also cast your vote for your favourite Trimcraft product under the Best Product section, and for Best Designer, you can nominate our Craft Coordinator, Kathy Hodson. We would really appreciate your continued support and we’d be delighted if you would click here and vote! Voting is now open and ends on Sunday 17th December at 11.59pm.